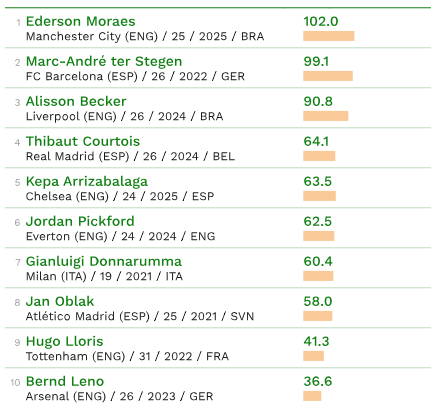 The latest round of transfer values from the CIES Football Observatory throws up plenty of grounds for argument, and the goalkeeping top ten will certainly be the basis for much of it. 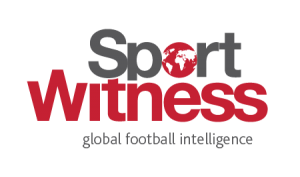 CIES value players based upon several aspects including level, age and contract situation. This will be largely why Manchester City’s Ederson is at the top of the list and David De Gea is nowhere to be seen. De Gea’s contract at Manchester United lasts until June 2019, with a further year option, and that’ll be why the 27 year old missed out on the top ten. Ederson’s transfer value is estimated at €102m, which puts him ahead of Marc-Andre ter Stegen, who is on €99.1m. At the bottom of the top ten is Arsenal’s Bern Leno, valued at €36.6m. This will leave some Manchester United fans bemused that De Gea wouldn’t be valued higher, and the assumption would be the extra year option isn’t taken into account by CIES. Six of the top ten goalkeepers are currently playing in the Premier League, and with De Gea added to that selection in shows how highly valued stoppers in English football are.